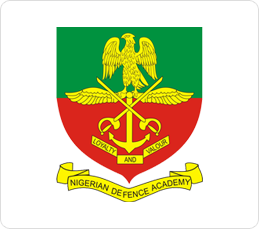 The Nigerian Defence Academy (NDA) names of selected candidates for the 2014/2015 short service combabtant programme has been released on the academy’s official website. Candidates that applied for the Short Service Combatant programme of the academy are hereby informed.In a release by the Military Secretary (Army) for Chief of Army Staff, Department of Military Secretary (Army), Mambilla Barracks Asokoro Abuja, the candidates listed below were successful at the Short Service Combatant Commission Selection ‘Board 2014 and are to report for officer cadet training at the old site of the Nigerian Defence Academy (NDA), Kaduna on 25 October 2014. General Instruction To The NDA Shortlisted Candidates for 2014/2015 SSC1. a. Original credentials including photo cards. b. Four coloured full size photographs in suit and in standing position without cap/hat. c. Two pairs of white (unmarked) vests/navy blue shorts. d. Two pairs of white canvas/trainers. it as a territory of study in most learning establishments <a href="http://grabmypaper.com/research-papers" rel="nofollow">professional research paper writing – GrabMyPaper.com</a>. However these learning foundations will oblige you to have passed extremely well with any science subject in your past studies. Thanks for the comment, Sadia. Great writing services you&#39;ve got there.